Brussels sprouts are kin to broccoli and cabbage. They resemble miniature cabbages, with diameters of about 1 inch. 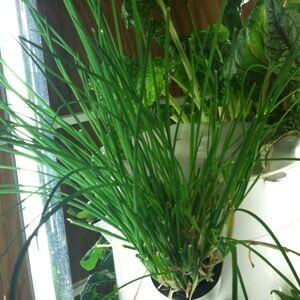 They grow in bunches of 20 to 40 on the stem of a plant that grows as high as three feet tall. 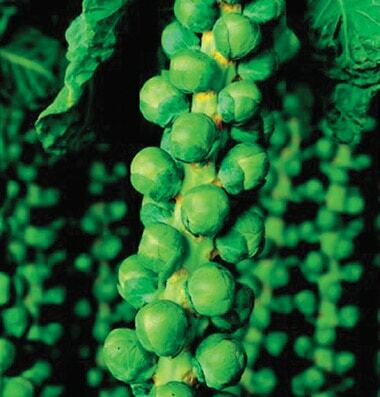 Brussels sprouts are typically sage green in color, although some varieties feature a red hue. Perfectly cooked Brussels sprouts have a crisp, dense texture and a slightly sweet, bright, and “green” taste. 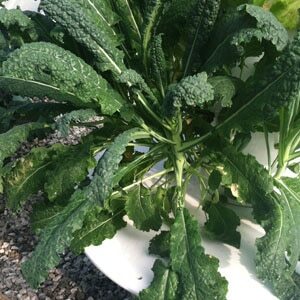 HARVEST: Pick when sprouts are firm and well formed, starting at the bottom of the stem. Break off the leaf below the sprout and snap off the sprout. The upper sprouts will continue to form and enlarge as the lower ones are harvested.